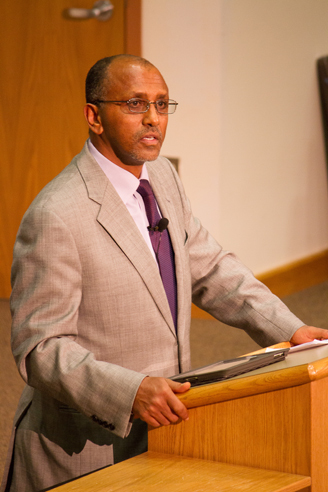 Former Prime Minister of Ethiopia Tamrat Layne Admassu, who is an ex-atheist, radical revolutionary and communist, will discuss choice, forgiveness and life changes in his lecture “Transformation of Life in Jesus” March 13 in the Weyerhaeuser Hall Robinson Teaching Theater. The lecture will begin at 7 p.m. This event is free and open to the public. For more information, please call (509) 777-3270. Tamrat, who served as Ethiopia’s prime minister from 1991 to 1996, was a political prisoner for 12 years. He was a self-professed atheist for more than 23 years before becoming a Christian in 2002 while still imprisoned. Since his release in 2008, he has spoken in schools and churches in more than 20 states. During the Ethiopian Civil War, Tamrat was a leader in the Ethiopian People’s Democratic Movement, which came to power in 1991 after defeating Ethiopian dictator Mengistu Haile Mariam. After the war, Tamrat was made prime minister for the transitional government and later served as deputy prime minister and minister of defense. In 1996, he was imprisoned on charges of alleged corruption and embezzlement and spent the next 12 years in prison. While serving his sentence, Tamrat converted to Christianity. Bonnie Wakefield, academic program assistant, history department, Whitworth University, (509) 777-3270 or bwakefield@whitworth.edu.